In yardage this isn't very long for the longest par 4 on the course, but with a constant incline from tee to green and rare assistance from the wind this hole does play as a true long par 4. 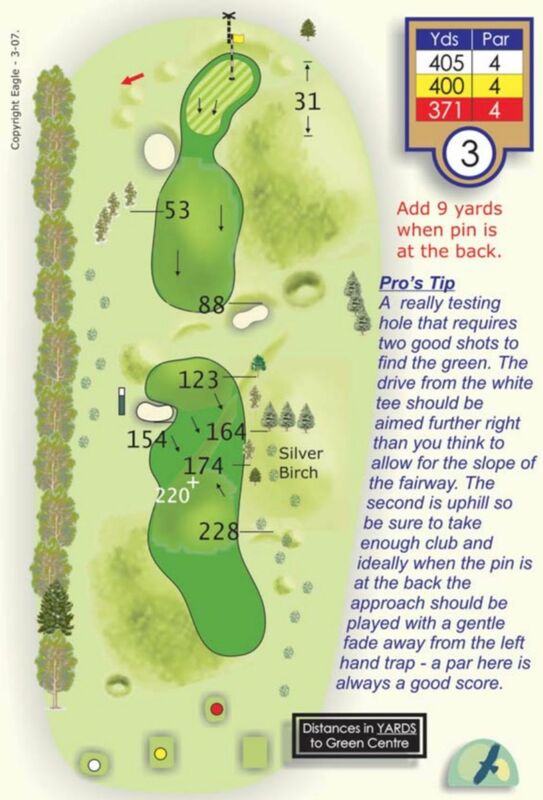 The tee shot is tight and the longer the drive the better to avoid a side-hill lie. The approach is semi-blind (due to the incline) to a two-tiered green where the flag is usually placed on the top level. Ideally best to take one more club.